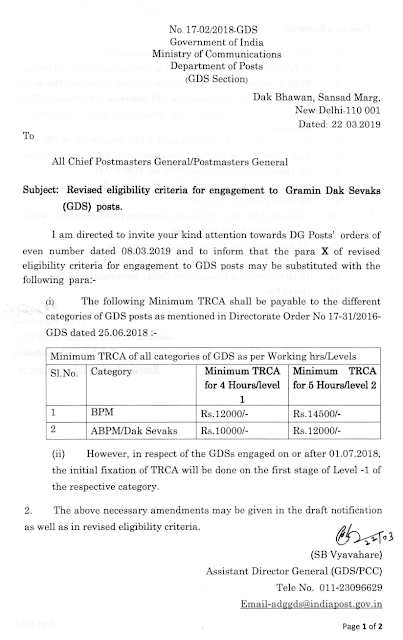 Subject : Revised eligibility criteria for engagement to Gramin Dak Sevaks (GDS) posts. 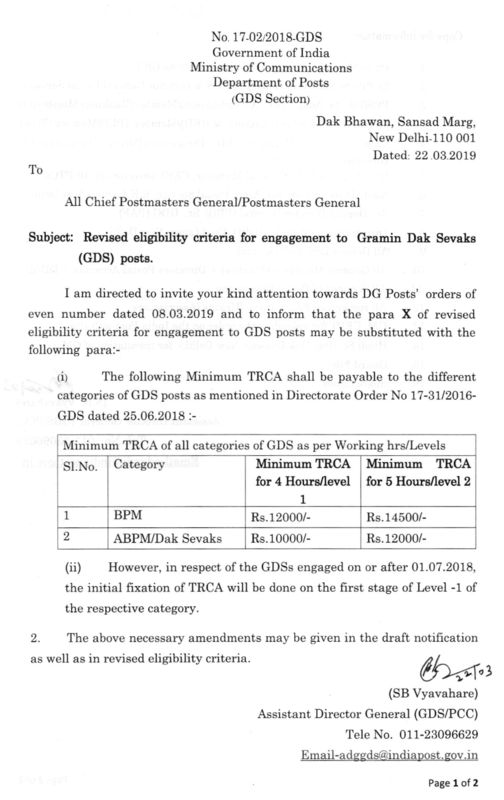 (ii) However, in respect of the GDSs engaged on or after 01.07.2018, the initial fixation of TRCA will be done on the first stage of Level-1 of the respective category. 2. The above necessary amendments may be given in the draft notification as well as in revised eligibility criteria.